It has been a big day at the bottom of the Premier League. Sunderland and Newcastle boosted their hopes of surviving the drop, while Norwich saw their optimism dented. 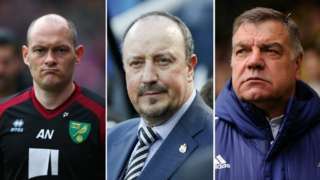 What is the mood in the Newcastle, Sunderland and Norwich camps after the latest twist in the Premier League relegation battle? 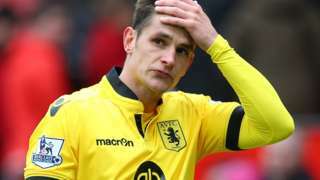 Aston Villa are relegated to English football's second tier for the first time since 1987 after defeat by Manchester United. 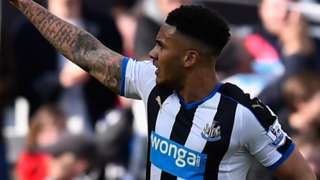 Newcastle beat Swansea City to secure a first win under manager Rafael Benitez and boost their survival hopes. 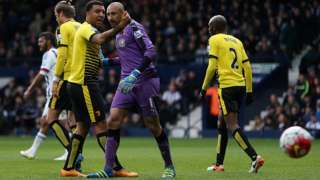 Saido Berahino misses two second-half penalties as Watford hang on for a narrow win against West Brom at the Hawthorns. 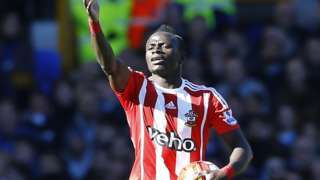 Southampton's hopes qualifying for Europe next season suffer a setback as they are held to a draw at Everton. More from Sunderland manager Sam Allardyce: “The most pleasing thing of all was the clean sheet, that is our way forward with five games to go. "I know if we can keep two or three clean sheets in those game we’ll be safe because I know we can score. "Five games to go, the pressure is still on us, but we’ve a better chance of getting out of it. Hopefully we’ll take it. We can’t afford to fail anymore. Another breakaway, another goal. City break up a Chelsea attack and burst away. Kevin de Bruyne finds Samir Nasri, who holds his pass to allow Sergio Aguero to stay onside and break clear. The rest is inevitable. 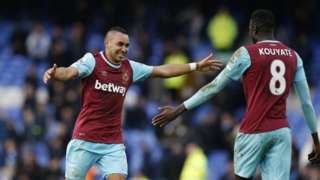 Sunderland boss Sam Allardyce, talking with MOTD: “A huge win and the lads have been able to take the pressure today which is something I was a little anxious about this morning. "The position we’ve left ourselves in was making me feel a bit edgy this morning. Will we handle the pressure? Will we cope with the pressure? They’ve answered my questions. They’ve coped with the pressure and coped with everything Norwich could throw at them. "To come here and win 3-0 shows you what a massive result it is." West Brom manager Tony Pulis: "It’s a cruel game at times, I thought we played really well today. 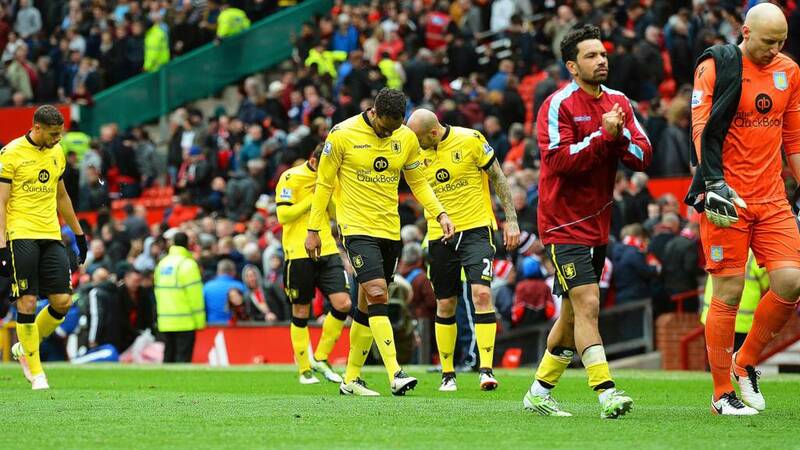 40 crosses, two penalties, but it was just not our day." On Saido Baerahino, who had two penalties saved: "Good strikers miss penalties, and Saido is a good player – this will only make him better and stronger, He just has to bounce back, and he will feel it as much as anyone." On the second penalty: "Saido wanted to take it, and some top, top players have missed penalties, players who have had the nous to take the next one and that is what Saido did. I hope if we get another penalty in the next few games I hope he is the one to smash it in. "It was disappointing not just for Saido but for the team, because I thought we were much better than Watford today."